Why do people install burglar alarm systems after being burglarized? Why would a building administrator wait until after a car comes crashing through an entryway to install vehicle barriers? Why have the great majority of safe school grant programs been introduced after the occurrence of tragic incidents? Saul Astor, the acclaimed physical security expert quoted above, refers to this pattern of after-the-fact implementation as "the first law of loss prevention." My advice: Break this law! Do not wait for an improbable and costly incident before addressing security. Be proactive. 1. Begin with establishing and documenting school security practices and policies. If student safety is such an important issue, why are administrators slow to develop related preparedness practices? Which stakeholders should be involved in policy development? In terms of safety and security concerns, what keeps you up at night? Keeping the First Law of Loss Prevention in mind, it is worth remembering that unpleasant experiences should not be the driver of security policies and practices. Instead, proactive collaboration to prevent incidents and prepare for emergencies is the place to begin. Ask your stakeholders to focus on their own areas of expertise in identifying potential risk exposures or vulnerabilities. Develop corresponding practices and policies. Document and disseminate those practices and policies. Train and drill staff and students, based on those policies. Provide related instruction to other relevant stakeholders. 2. Update your understanding of school security. School is different today. Students are different. Anxiety among the student population is increasing. "The average high school kid today has the same level of anxiety as the average psychiatric patient in the early 1950s," psychologist Dr. Robert A. Leahy wrote in a 2008 article in Psychology Today titled "Anxiety Files." A higher level of anxiety translates into a higher level of risk. Today's students face new threats. Social media risks abound. Never before have students been more connected and more isolated. In February, the Pew Research Center reported that Facebook is used by 73 percent of US teens aged 12 to 17. In its 2013 report Teens and Technology, Pew reported that 78 percent of that age group had a cell phone, almost half (47 percent) of which were smartphones. That translates into 37 percent of all teens who have smartphones – up from just 23 percent in 2011. 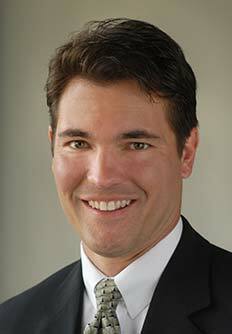 Paul Timm (@schoolsecurity) is a board-certified Physical Security Professional (PSP) and President of RETA Security, an independent school security consulting firm. As a nationally acclaimed expert in school security, he conducts numerous vulnerability assessments and gives frequent keynote addresses. 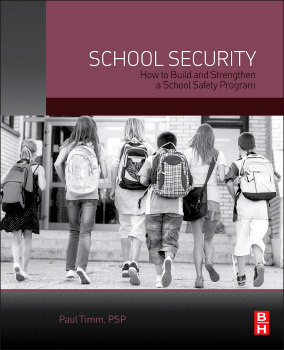 Elsevier will publish his book School Security: How to Build and Strengthen a School Safety Program on October 1. Timm is also an experienced School Crisis Assistance Team volunteer through the National Organization for Victims Assistance (NOVA). He is certified in Vulnerability Assessment Methodology (VAM) through Sandia National Laboratories and the ALPHA vulnerability assessment methodology. 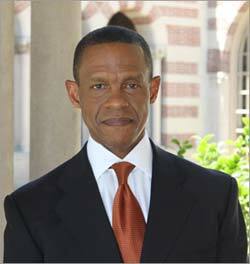 He is also a member of ASIS International, where he serves as Vice Chairman of the School Safety & Security Council, and the Illinois Association of School Business Officials (IASBO), where he serves on the Risk Management Committee. Currently working on his MDiv at Moody Theological Seminary, Timm holds a degree in Speech Communications and a Certificate in Business Administration from the University of Illinois. The prevalence of social media and handheld electronic devices has introduced unprecedented, immediate, and far-reaching problems. Consider the following report from the Kaiser Family Foundation, which found that young people ages 8 to 18 are spending about as much time on media – such as TV, video games and the Internet – as they are sleeping. Over the past five years, young people have increased the amount of time they spend consuming media by an hour and 17 minutes daily, from 6:21 to 7:38 — almost the amount of time most adults spend at work each day, except that young people use media seven days a week instead of five. Moreover, given the amount of time they spend using more than one medium at a time, today's youth pack a total of 10 hours and 45 minutes worth of media content into those daily seven and a half hours — an increase of almost two and a quarter hours of media exposure per day over the past five years. The Kaiser Family Foundation released these findings in 2010. Can there be any question that the numbers have grown significantly since? Even though it seems like social media risks did not exist just a few years ago, Facebook is now more than a decade old. Students are the primary drivers and victims affected by cyber issues. A tidal wave of inappropriate comments, photographs, and correspondence in an ever-growing sea of social media sites is flooding our schools. The word intuitive seems to simultaneously define today's youth and intimidate most adults. An ever-widening technology gap causes adults, including school staff members and parents, to feel left behind. This reality is prompting various responses. Resolving to avoid social networking altogether, akin to the ostrich approach, is a poor decision. Attempts to ban or rigidly control social media often produce disappointing results. Instead, we recommend that school officials acquire a basic understanding of social media, learn how to use it safely, and positively influence those that use these services. There is much at stake. Real and fabricated information can go viral in a short amount of time. Student reputations and self-images rise and fall dramatically. Damage feels irreversible. The term cyberbullying has become a blanket term used to describe these types of virtual bullying. StopBullying.gov defines it simply as "bullying that takes place electronically." The National Crime Prevention Council states that cyberbullying occurs "when the Internet, cell phones, or other devices are used to send or post text or images intended to hurt or embarrass another person." Most importantly, US law classifies cyberbullying as a criminal act in some cases, making it imperative for educators to educate themselves on protecting their students. While the anonymity of the Internet makes it hard to trace cyberbullying, and technological advances continue to open up new avenues and opportunities for bullying, schools must address this threat as they engage in anti-bullying efforts. 3. Improve efforts to prevent violence and bullying. How often do those in authority find out directly about bullying? Most families will not. Not from victims. The bullying victim and the sexual abuse victim are ashamed to talk about it. The bully and the sexual abuser know that his or her behavior is wrong and will not talk about it. The drug user knows his behavior is wrong and will not come forward either. Most likely, many students across your K-12 school district have these and similar problems but will not ask for help. At the same time, bystanders are living in fear that they may be victimized. You have to figure out how to find both the victims and the victimizers — and help them. Losing our children academically, emotionally and physically as a result of unprecedented, unknown bullying behavior is a tragedy of staggering proportions. Yet schools are both funded and focused on student success as measured by test scores and whether or not schools make their annual yearly progress. What would happen, one may wonder, if the reverse were true: if schools were funded and focused on making and keeping our learning environments bully-free zones? Make a commitment to prevent bullying and other abusive behaviors. 4. Upgrade the standing of security personnel. The sad reality is that the majority of schools look at security as a second-class program. Security personnel rarely garner respect. They do not usually possess cheerful dispositions. They are not perceived as advocates. Negative consequences greet those who engage in behaviors that violate security practices. Students, staff, and visitors do not usually welcome discipline and rule enforcement. These patterns often produce an adversarial tone toward the security program. I don't mind the police officer. He's just doing his job. The safety monitors are grouchy and old. They just sit around. They don't like students. We know all the ways to get around stuff they have in place (security measures) to catch kids. We make fun of them. If you can relate to school security's negative image, it is time to change the culture. 5. Educate your staff; people ultimately determine protection effectiveness. It is important to communicate to staff members that security is almost never convenient, and convenience quite often compromises security. Security products and practices are only as good as the staff members that implement them. In reality, staff members form your security program's first line of defense. School administrators often complain that staff members will not follow security practices. Administrators feel frustrated when teachers prop open exterior doors, leave valuables unattended, or fail to utilize two-way radios while monitoring exterior activities. They accuse staff members of adopting a "Mayberry mentality"— the mistaken notion that the school resides in the fictional 1960s community where Sheriff Taylor (Andy Griffith) faced virtually no risk of criminal activity. Invest time in raising staff awareness, providing routine instruction, and conducting emergency preparedness drills. 6. Turn your emergency plans into living documents. Thinking about how an emergency might play out and developing a plan to manage the emergency — before there is an emergency — is a life-saving activity. Drilling and practicing the plans will save lives, too, by highlighting flaws in the plan — such as forgetting to give a substitute teacher a classroom key so they can lock the classroom during an emergency — and enabling planners to set things right before the real incident happens. In developing an emergency plan, remember that the reason for planning is to save lives, prevent injuries, and reduce property damage. Many schools create a written emergency operations plan because of a state requirement. Resist the urge to write a plan that simply complies with regulations. Plans tend to be incomplete. Do not forget to consider, for example, individuals with disabilities and others with access and functional needs. Plans quickly become outdated. Formalize a planning team and commit to a routine meeting and review process. Plan as if lives depend on it – because, in fact, lives do depend on it.